“I may not get there with you, but I want you to know that tonight, we as a people will get to the Promised Land,” the Rev. Martin Luther King Jr. said in his famous “I’ve Been to the Mountaintop” speech. The newest production from Swine Palace gives audiences an in-depth look at the revered civil rights figure as he grapples with the transience of his own life and the enduring impact of his work. 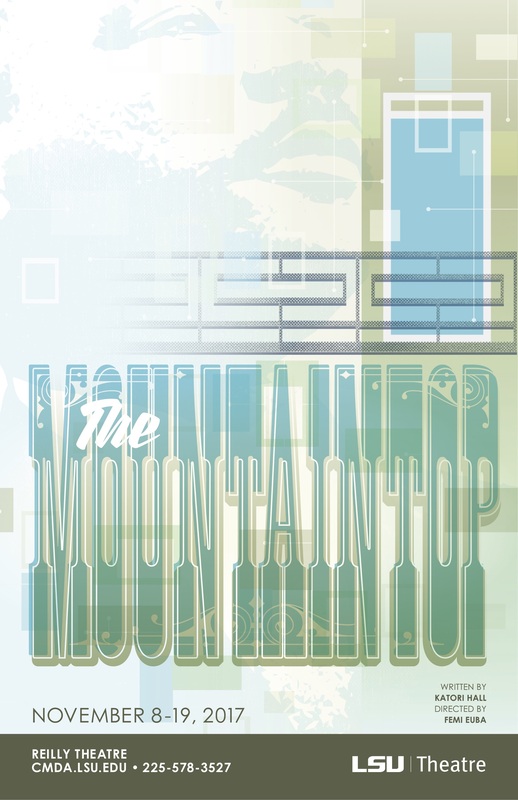 Written by Katori Hall, The Mountaintop is a fictionalized retelling of King’s final night on Earth, after his famous Mountaintop speech and before his assassination the next day. It takes place entirely in room 306 of the Lorraine Motel in Memphis, Tennessee, where King is visited by a hotel maid who turns out to be more than meets the eye. “It’s a story of every man, really, confronted with possible death and realizing he has not finished his mission,” says director Femi Euba, an LSU English and theater professor. As threats build on King’s life, he must face his own mortality, coming to terms with his humanity and overwhelming status as a leader of a movement that’s bigger than him. Euba’s direction highlights the juxtaposition between King as a normal man and as someone whose words live on eternally. Depicting the complexities of such a widely known figure while keeping King’s real legacy intact was a challenge Euba and his lead actor Curtis Wiley approached by humanizing the figure in the play. Through the intimate, private nature of the play’s setting and King’s personal reflection, the audience gets an unfiltered look at the civil rights icon and can view him in a new light—as someone not so different from them. Without spoiling the ending, the drama goes from being realistic to “something more magical,” Euba says.